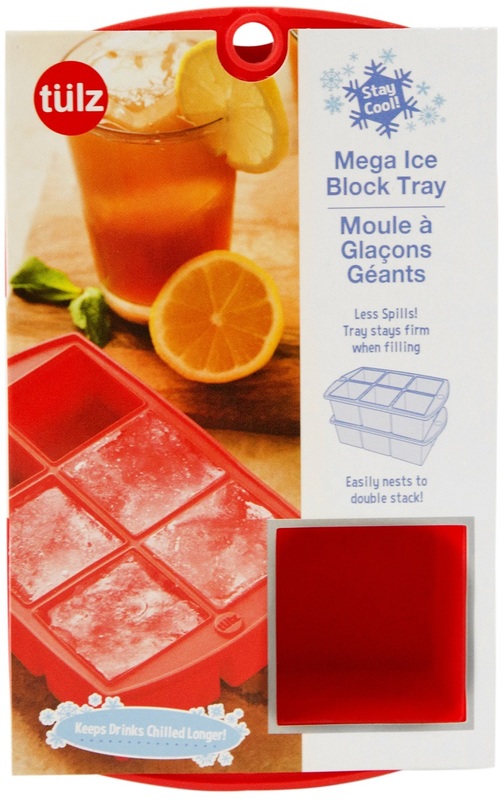 Tulz Red Mega Ice Block Tray makes six 2" cubes. 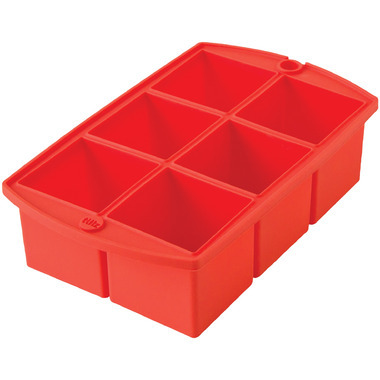 This food grade silicone tray helps with easy release of ice cubes. For convenience, it easily stacks to save space in your freezer. The larger cube is perfect for keeping your drink cold without diluting it. It lasts a very long time. I like the size of the cubes but they are very hard to remove - they so NOT pop out like regular plastic trays - not convenient at all.